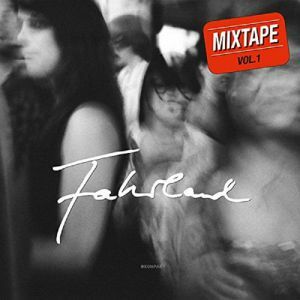 FAHRLAND Mixtape Vol 1 vinyl at Juno Records. Producer Alexander P.J Geiger was very active during the noughties, releasing a string of singles and albums (both as Geiger and Nass) before all but disappearing from view. Fahrland is his latest artistic incarnation and this, the project's debut outing, marks the producer's first release for eight years. The title, Mixtape Volume 1, hints at the album's construction; this is a set of disparate tracks that showcase Geiger's ability to turn his hand to a myriad of genres. So becalmed ambient cuts are followed, in sequence, by tracks that variously doff a cap to Balearic synth-pop, lo-fi electronic soul, ultra-deep house, jammed-out intergalactic techno, krautrock, hip-hop and dream pop.